Blog Family doctor, midwife, or obstetrician – how do you choose? 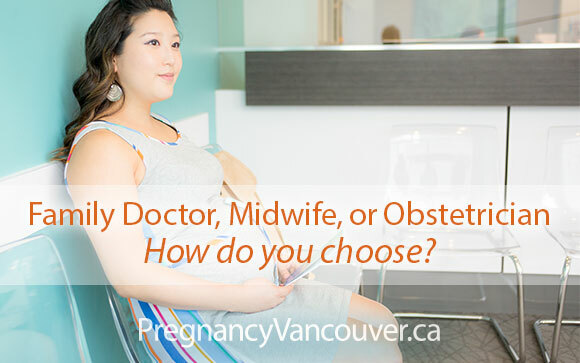 Family doctor, midwife, or obstetrician – how do you choose? This may be one of the most frequently, and passionately, discussed topics in pregnancy forums and pregnancy-related social media—fortunately most people agree there are several right answers. Let’s look at the differences and similarities between the various care providers you may consider for your pregnancy, birth, and postpartum care. Access to care for pregnancy complications, if the need arises. Obstetricians, commonly called OBs, are specialists who are trained to deal with high-risk pregnancies. If you have a pre-existing medical condition such as epilepsy, high blood pressure, heart disease, or diabetes, you may be considered high risk and need to see an OB . OBs may provide care for the mother for up to six weeks after the baby is born; typically, you would have a check-up at six weeks postpartum. Your family doctor or another doctor of your choice would provide care for you and your new baby between leaving the hospital and the six week check-up. Registered Midwives care for women with low-risk pregnancies. They are able to provide longer appointments than other providers due to their model of care. Midwives can only order tests and prescribe medication that are directly related to pregnancy; treatment for related issues like mental health or quitting smoking require referral to a family doctor or specialist. Midwives can, however, attend home births and may offer postpartum care at home—an important distinguishing factor for some women. Midwives also care for moms and new babies up to six weeks postpartum, when they will transfer care to a family doctor. Family doctors can provide care for the whole person, including issues unrelated to pregnancy. They have training in maternity and newborn care, as well as most other areas of medicine. Family doctors can provide prenatal and postpartum care for mom and baby for as long as they are needed, including help with breastfeeding, nutrition, quitting smoking and help with mental health concerns or medical concerns for the newborn. Family doctors who provide maternity care may take you on as a long-term patient in their practice, or they will help you find a family doctor for ongoing care after the postpartum period. You can search for maternity care doctors who are accepting new moms and babies into their practice at pregnancyvancouver.ca. Find a family doctor for your pregnancy and beyond at Pregnancy Vancouver.